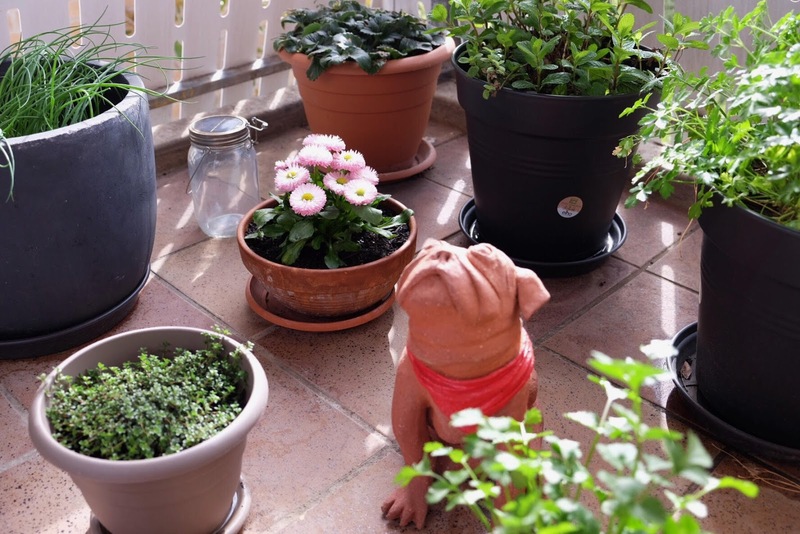 Over the last month, I've been slowly adding new plants to our balcony in preparation for spring. The new additions include baby spinach, spring onions, coriander, thyme, basil and flowers too. 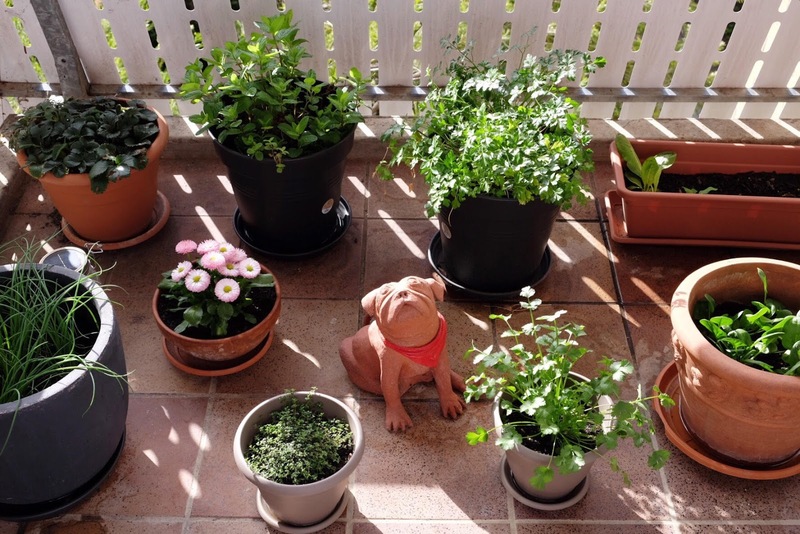 We're also growing parsley, mint, strawberries and one determined radicchio. I'm a novice when it comes to gardening. 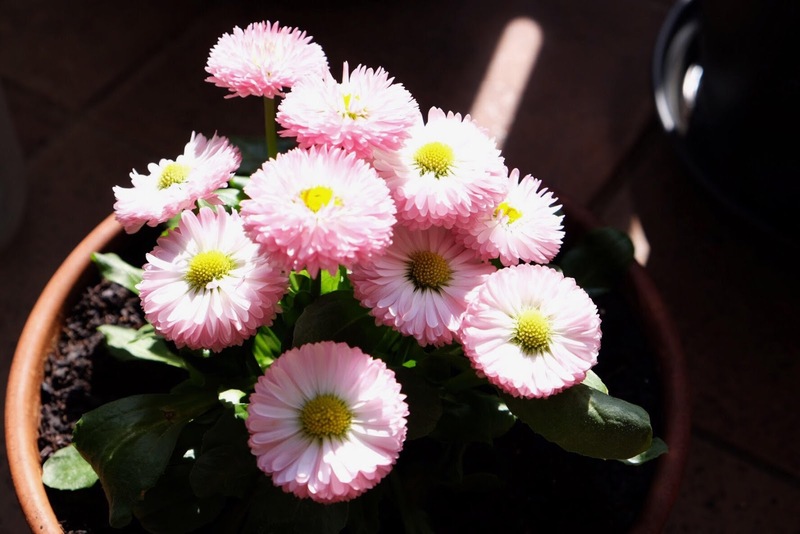 When we left Wagga Wagga, my friend Sophie gave us a few starter plants, which has helped me build my confidence and work out where the sunniest spots are. I've had a lot of help from friends. 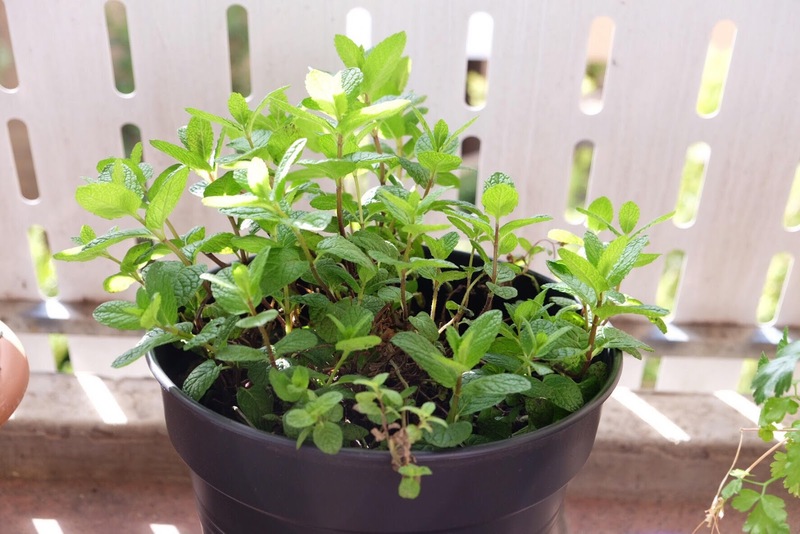 Dave recommended repotting our mint, to give it more room to grow and it's really taken off. And Sam's told me where to buy the strongest veggie seedlings in town (here if you're interested!). 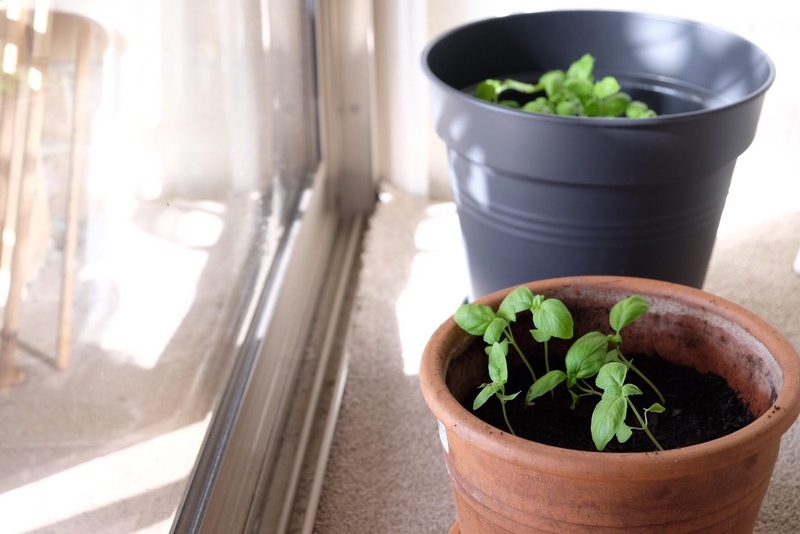 I planted my basil a little early - it's still very cold in the mornings - so these guys will be staying inside for the next little while. And now that the days are getting that tiny bit brighter and warmer, I'm getting back into the habit of earthing down after a day's work.